I only knew Heavenly Father existed. But I Never knew Heavenly Mother existed. Giving up the stereotype that was extremely normal and fair, Heavenly Mother was something very obvious. When people go to church, why can’t people think we have Heavenly Mother while there are Heavenly Father, brothers, sisters? If Heavenly Mother truly exists what will she be like? 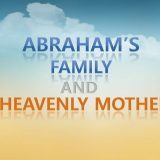 Heavenly Mother is very similar to physical mothers who gave birth and raised us. One woman wrote a letter of thanks to her mother after birth. This is what she wrote to her mother. Or how much I need her. No matter how old we are, we always feel sorry and thankful for our mother. Physical mothers always give us unconditional love that is a bridge to lead us to Heavenly Mother. Half of humanity is female. Thinking about that male abortion rate is higher than female, female population will be a little more. Then why did the creator, set humanity’s strongest force of love to mofther? God is the beginning and the end of love, if there is only heavenly father, the memory of humanity’s noble sacrifice must be father. But human instinct tell that mother is with noble sacrifice. Because our soul sense Heavenly Mother. The Bible continually shows the evidence of heavenly mother. Heavenly mother is a precious being whom heavenly father has given to those who follow his will in his way so that his children can go to heavenly kingdom with their heavenly mother as he has planned. Lets take a walk trough the evidences. Summarize chapter 4 of Rev. and chapter 1 of Rom. -For God created all things by God’s will. Letting us know God’s will in all nature. -It is hard to understand what people can’t see. To help the understanding that God has made God’s divine nature and eternal power on all nature. -All man who see nature can understand from what is made. -Therefore obviously look at all things. Because all nature is evidence, the excuses I didn’t know would not work. God divine nature has many aspects like character, ability, shape ect, Gods eternal ability is not something that we should understand by looking at nature. Because we can know it by the history God makes and the prophecies God fulfill. In life, there is an important common part with nature. Birds in the air, fishes in the ocean, insects in the field all have parents who gives them life. There is no life without father and mother. And who gives births to newborns are mothers. When God created the world, God created it in a way anyone can understand God’s will only by looking at it. If the most important thing in God’s salvation plan is just to give eternal life to Gods children, God’s focus on nature is not beauty or size but it should be life. So we have to focus on life just as God does. Also we have to throw out long-held prejudice by trying to look at all of his creatures in God’s view. Then we will easily understand that God’s divine nature is composed with father and mother. for all nature principle of life is the same. God created this world in this way only to explain that eternal life comes from both heavenly father and heavenly mother. Is it possibly hard to think about heavenly mother because that is too simple or easy? Every child doesn’t know their parents because they learned about them. This is how things work out. The holy spirit is God the father we know everyday. fathers bride, who gives us water of live will be God The Mother. Heavenly Mother is the most important part in eternal salvation. the existence of heavenly mother is essential to not only heavenly father but also us, her children. Heavenly Mother is a creator like father, with the holy spirit she gives water of life to the children of God in the last age. The everlasting love we feel about our physical mother might be yearn about Heavenly Mother. Though the God’s creaters, we can feel God who created the earth. And also understand Heavenly mother’s love from earthly mothers in this world. So It cannot excuse. God created everything in this world that we could realize the will of God. As Mother gives a life to children in living things so Heavenly Mother gives us ,children of God, eternal life. It is so nature that we have a mother who gives us our life, why then isn’t there God the Mother who gives us our spiritual life! Yes!! there is our spiritual Mother who loves us endlessly. Thanks to God the Mother for your warmest love! Right!! It’s a nature that we have a God the Mother who gives us life forever. When we believe in her,could get eternal life. God the Mother gives us eternal life! How blessed we are to know Her. Thanks and praise to God Forever.? As following the article,we could know the divine nature that the male image of God,God the Father n female image of God,God the Mother. We need both for our eternal life. Amen! We believe God the Mother who gives us Eternal Life! Thanks to God the Mother with us! We love You! If we give up the stereotype that God is only one-God the Father, we can truly believe the God the Mother and understand all the truth in the bible. Amen. God the mother existe. We can easily know by bible and all living being God created. God the mother exist absolutely. The bible clearly testifies that God the Mother exist. Just as physical mother give her children physical life, God the Mother also give us the eternal life. Therefore only those who receive God the Mother can get eternal life and enter the kingdom of heaven. Come to the Church of God and study the truth of God the Mother. Only God the Mother can give us eternal life! 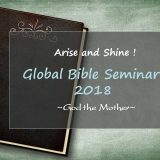 There are a lot of evidence about God the Mother! Let’s see the Bible! When they call a child, we need to listen the voice if we are true child. The free gift of the water of life is necessary condition to enter the kingdom of heaven. Please come and receive the blessing! We can feel God the Mother’s love and sacrifice through the love of our physical mother. We can never deny the great love and sacrifice of God the Mother who leads us, sinners, to the way of Kingdom of Heaven, our Heavenly Home. The prophecies of Bible and all of the creatures in the world prove that Heavenly Mother exists ! We never can deny Mother and we can only get eternal life through our Heavenly Mother. Heavenl Mother gives me the eternal life. She gives us the everasting love. She pray everyday for us. Thanks to Heavenly Mother. We love you. Everyone knows and feels the love of mothers is the greatest love in this world. But it is just a shadow of the heavenly thing. I can’t imagine how great is the love of Heavenly Mother. Thank you Mother for loving us! 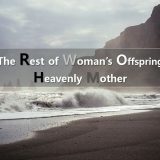 When we see this world, it is natural that there exist God the mother as well as God the father in the heavenly family. If there is a man who is called as “a father”, we regard it natural that he has his own children as well as his wife, who gave birth to them. 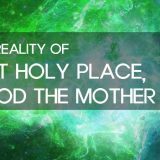 God the Father wants us to know the existence of God the Mother as well. She is prophesied to come to this earth in order to give us eternal life, the promise of God. 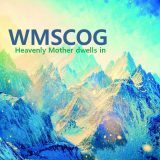 Please come to the WMSCOG to meet our spritual Mother who is still longing for you. Thanks to God the mother. Without you, I can’t receive eternal life and meet my brothers and sisters. God the mother is love 🙂 She does everything for us!! I really thank to GOD. Elohim God give to us eternal life and everlasting life. Every mother has special love for their children and everyone feels the love of mother naturally. It makes us understand Heavenly Mother’s love more easily. How can we measure the Love of God the Mother ? Heavenly Mother has already come in the flesh with love and sacrifice to seek heavenly children and take Them to the Kingdom of Heaven. Thanks to god the mother for us to realize you. She is truly our savior! Thanks to Heavenly Mother with all my heart. I love Heavenly Mother ! she is my life. check it with your own eyes. God the mother is truly our savior. 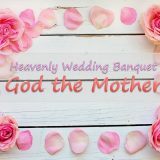 Not only we believe god the father but also god the mother so we can go to the kingdom of heaven. To recognize Heavenly Mother through the Bible is to be the luckiest person in the world. Why? 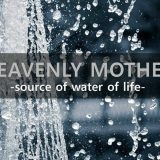 Only Heavenly Mother gives the water of life to us to take to the kingdom of heaven. Are you the luckiest man? Without God the mother, we never get eternal life. Please believe in Heavenly mother. its amazing! all creatures proves to be the existence of Heavenly Mother. All thanks to God the Father and God the Mother !! 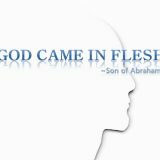 We are the children of Elohim God. Holy Spirit testifies this fact through the Bible!! Heavenly Mother’s love has the power to heal the our wounded hearts. It is my duty as Her child to deliver that love to people who are still waiting for truth. Heavenly Mother, You are so precious in our life. I want to be with You forever in my life. Thank You so much for Your undying love to us a grievous sinner. You always wants the best among Your child, which is to bring us back into the glorious Kingdom of Heaven, our home. Please cheer up! I miss You so much! Thank You so much for giving us Your great and wondrous love!!! Whether you accept or not heavenly mother truly exists because the bible testifies. 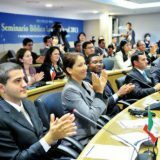 My brоther rеcommended Ӏ might like this blog. imagine just how mᥙch time I had spent for this information! Thanks! God creates every creatures that have their mothers to receive their life. Like this, we can also understand that we must have God the Mother to receive eternal life. So Bible testifies exactly about God the Mother’s existence. Now, Heavenly Mother is always with us, taking care of us in every situation.